If You Were An Animal…. what animal would you be? My mama always thinks that people look like animals. My favorite animals are gorillas and elephants. I love their soulful eyes. I think I’m starting to resemble an elephant with all my wrinkles. I like elephants so I most love wrinkles?!? Obviously, I’m making fun of my face and the elephant lines around my eyes. Oh, it’s just part of the fun aging process. But of course, I’ll also want to look at the positive aspects of looking more and more like an elephant. Elephants are self-aware, like to live near water and with their children and other female groups. (Sorry Jeff!) They exhibit empathy and communicate by touch, sight, smell and sound. Hmm – sounds like a good life to me. 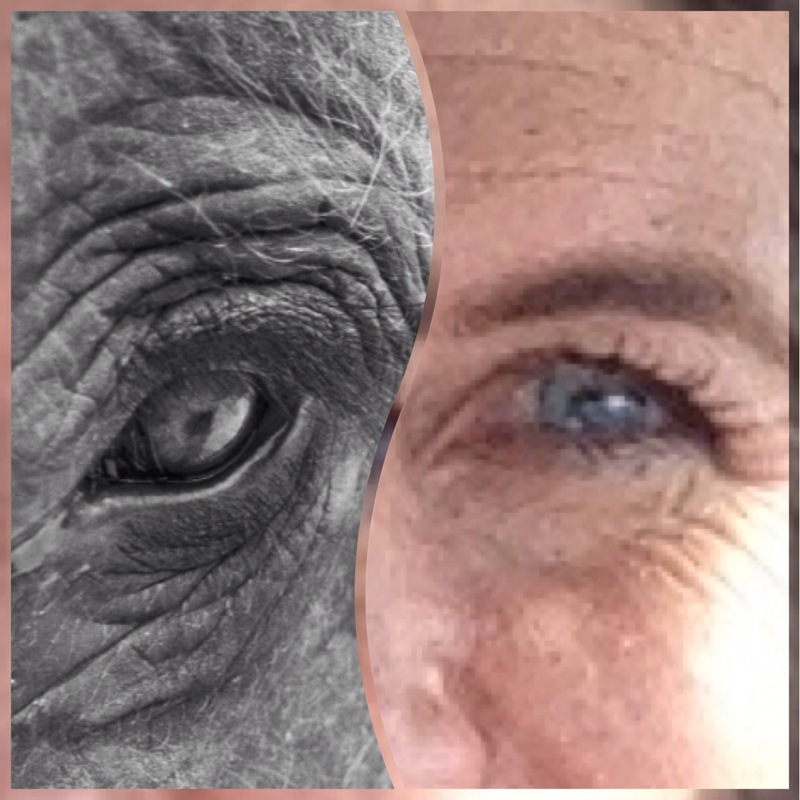 I’ll keep on the elephant track, or at least accept my wrinkles and maybe live near the water one day, with Jeff and my family and live happily ever after. So…what animal do you most resemble? Love it! I used to think that my kids looked like little squirrels as newborns. Now I think my son resembles a monkey. 🙂 I have never thought of what one I most resemble. I will have to give it some thought!